California now has new regulations that mandate seismic retrofitting along with emission reductions. As a result, many hospitals must begin to comply to these strict new codes. The Case Studies here examine customer applications and key challenges. R.F. 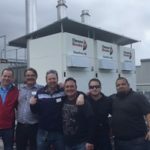 MacDonald Co. provides a boiler-room solution at Stanford. In an effort to become one of the most energy-efficient universities in the world, Stanford University in Stanford, Calif., launched the Stanford Energy System Innovations (SESI) project in 2012. 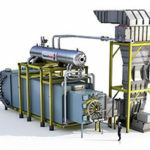 At the heart of the three-year SESI initiative is heat recovery. After researching a number of options, Stanford decided to transition from a fossil-fuel-based, combined heat and power system with steam distribution to an electrically powered, combined heat and cooling system with hot water distribution. Maximum efficiency yields high energy savings from condensing boilers. A large Northern California biopharmaceutical company operates a research campus with Cleaver-Brooks Flextube Boilers in many of their buildings. The boilers were only six years old when the Bay Area Air Quality Management District began including smaller boilers in regulated emission control standards. As a result, the boilers were required to meet the new NOx and CO emission levels, as well as flue stack temperature criteria. Central utility plant meeting all seismic and emission requirements. Kaiser Permanente was planning a large expansion to their Orange County health service network that would meet a number of strategic needs: provide updated facilities, meet the expanding demands of an aging population and comply with the new seismic and emission regulations within Southern California. They determined the best option was to build a new facility to replace a nearby existing facility. The new construction was established as a three phase process including: an initial medical office building, a second office building and central utility plant and the main hospital opening in September 2012. 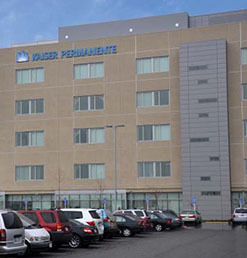 Another key concern for Kaiser Permanente was the need to contain human resource costs for the completed facility. As a result R.F. MacDonald Co. worked in conjunction with the engineering firm overseeing the project to design and deliver Thermal Fluid Skids, for a system that would deliver steam for humidification, sterilization and hot water heating. New boiler plant meeting low NOx emissions and seismic requirements. The 1994 Northridge earthquake, a 6.7 trembler centered in Los Angeles, resulted in 72 deaths, over 9,000 injuries and rendered dozens of area hospitals damaged or unusable. 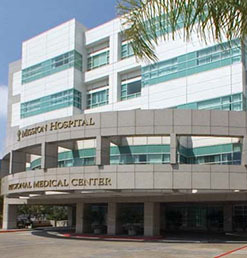 As a result, the California State Senate passed a law that amended the Hospital Facilities Seismic Safety Act. SB-1953 requires all hospitals to retrofit, rebuild or close hospital buildings by specific dates if they do not meet strict new seismic safety standards, which would ensure that acute care units and emergency rooms could withstand future earthquake events. Retrofit existing burner to meet low NOx emissions requirements. In response to overcrowding and consistently operating at or above capacity levels, Mission Hospital recently approached R.F. 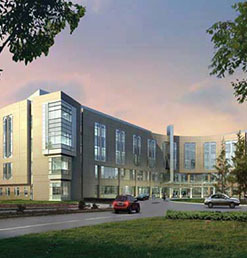 MacDonald Co. after embarking on construction of a four-story, 94,730 square foot facility that would offer an additional 64 private patient beds, as well as become the new home for trauma services, the surgical intensive care unit, neuroscience center, diagnostic imaging and hospital chapel. Kaiser Permanente is recognized as one of America’s leading health care providers and not-for-profit health plans, currently serving over 8.6 million members in almost a dozen states. 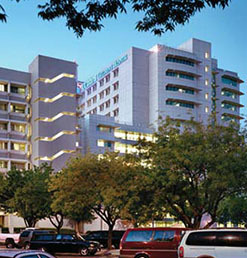 Modesto Medical Center is one of several new hospitals for Kaiser Permanente providing care to the San Joaquin Valley. The 670,000-square-foot hospital features energy-reducing materials and advanced green hospital furnishings and fixtures that use fewer toxic chemicals and earning national recognition as one of the “greenest” health care facilities in North America. Retrofit existing boilers to meet low NOx emissions requirements. The UC Davis Medical Center serves 6 million residents in 33 counties encompassing 65,000 square miles in Northern and Central California. 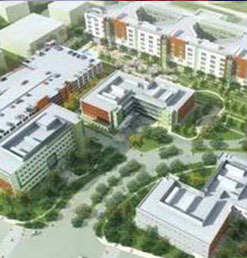 The acute-care, teaching hospital is licensed for 613 beds and maintains an annual budget of roughly $1 billion. The hospital used their boilers for sterilization, domestic hot water and heating applications within the facility. They were operating four boilers: two Johnston 750 HP High Pressure, Dual Fuel (natural gas and #2 oil) Boilers that operated at 150 PSI and two Johnston 750 HP Low Pressure, Dual Fuel (natural gas and #2 oil) Boilers that operated at less than 15 PSI.